The atmospheric/oceanic state in which we find ourselves right now is multifactorial. The super El Nino event last winter aided in inducing a variety of atmospheric tendencies: surged global temperatures such that the ensuing year features an inordinate amount of residual northern hemispheric heat, largely as a function of the excessive latent heat release via prior tropical forcing; the additional, significant injection of westerly atmospheric angular momentum (corresponding to the excessive forcing) precluded the descent of easterly stratospheric winds, thus resetting the QBO into a condition of predominately high westerly shear stress. The enormous latitudinal thermal gradient induced largely by super Nino conditions drove the stratospheric vortex into an insurmountably potent state; however, upon its collapse last spring, the vortex has remained unprecedentedly weak. One may hypothesize that this implicates a repressed vortex status for the ensuing winter, but exogenous indicators suggest otherwise. The ENSO condition is cold-neutral bordering on weak La Nina, which will likely persist for the duration of the winter. SST’s and tropical forcing are reflective of a classic Nina-esque walker cell orientation. It will be important to ascertain the likely modalities and proclivities of high latitude indices, in light of the lesser ENSO forcing (though this isn’t entirely the case). The anticipated behavior of the various global oscillations and their concomitant z500 results will form the basis of this outlook. ENSO status is cold-neutral to weak La Nina. The vast majority of model guidance maintains the cold-neutral/weak La Nina regime throughout the winter. Whether the resultant situation is weak Nina or cold-neutral, the z500 and sensible weather outcome disparities would be immaterial. The oceanic-atmospheric coupling has been relatively weak thus far. SOI daily values have been near neutral or even negative at times – in concert with a strongly heightened angular momentum state – the resultant regime has more closely projected on the climatological El Nino z500 pattern rather than La Nina (at least in the Pacific). The extended Pacific jet is a consequence, with a flood of warm, maritime air into Canada. This regime will experience significant alterations over the coming weeks. The atmospheric coupling response will manifest more robustly as Indonesian/Maritime tropical forcing and rapidly decreasing angular momentum (that is, a removal of atmospheric momentum from the energy budget), will eventually cause the Pacific jet to retract. The more classic low-mid latitude Aleutian ridging and concomitant troughing in the eastern Gulf of Alaska and Western US will develop by late November. The momentum will decrease to such an extent that lower than normal geopotential heights will dominate the northeast Pacific. Inter-seasonal low frequency tropical forcing should congregate in the W Pacific/Indonesian region thus winter – principally within the “domain space” of MJO phases 4-5-6. Large scale subsidence should dominate the dateline and Western Indian Ocean regions, with potentially a secondary, less potent upper divergence area near northern South America. So far this autumn, the dateline eastward in the Pacific – both tropically and sub-tropically – has been largely devoid of 200hpa negative velocity potential, while the inverse has been true to the west of the dateline. All of the aforementioned has implications insofar as Rossby wave driving and mid latitude responses. Tropospheric boundary layer conditions thus autumn have been suggestive of a highly perturbed vortex and would – in a vacuum – portend a weak winter stratospheric (and consequently tropospheric) vortex. Both snow cover extent and advance has been quite impressive when juxtaposed with the majority of seasons over the previous 30 years. The resultant Siberian high development and concomitant Taymyr geopotential height anomalies have been robust; namely, higher than normal geopotential heights have generally persisted in that region. The development of certain tropospheric patterns is crucial as often times they will project strongly onto climatological wave 1 and wave 2. The significance of this is that a tropospheric pattern which constructively interferes with vertical wave driving will converge and perturb the vortex. As noted prior, the westerly shear stress has persisted in the stratosphere. The westerly QBO strengthened (became more positive over the past couple months. The ensuing winter state will be strongly positive, becoming more moderate late, and likely reversing into the negative state (finally) by spring 2017. Solar conditions have been variable but largely depressed. 10.7cm solar flux values are very low; generally under 800. This will continue or decrease during the winter. Solar minimum with respect to cycle 25 will occur between 2018-2020. Geomagnetic activity (proxy: AP index) min-max cycles are typically lagging that of flux and sunspot numbers. Geomagnetic parameters suggested a decline this summer, but it has been rather active again this autumn. Precursor sea surface temperatures in the Atlantic Ocean were analyzed for specific trends/anomalies which could be relevant insofar as NAO modality trends. Research has demonstrated that there might be a tendency for the development of poleward Aleutian mid-level ridges under a cold ENSO/+QBO regime. The correlation is a strong one. However, I have noted disparities in the recent autumn/current pattern, in terms of atmospheric behavior and forcing which do not project onto the +QBO/-ENSO z500 result. This casts doubt on the notion for a persistent poleward ridge in the Pacific. The PDO has been in a predominately positive phase, though declining over recent weeks. The Gulf of Alaska has cooled dramatically due to the extended jet and low geopotential height anomalies. However, the forcing emanating from this region is immaterial, and provides positive feedback at maximum in terms of the ensuing pattern. A more interesting propensity has been the latitudinal sea surface temperature gradient with very warm waters running horizontally across the sub-tropical Pacific and cold waters immediately to the north. This will add momentum to the Pacific jet and aid in precluding, at least in a protracted fashion, significant poleward blockiness. However, the westerly shear stress via the QBO and its connection to forcing modulation may result in a period of such poleward blockiness. The AMO has been mostly positive with the western Atlantic warmer than normal. The feedback generated from this will be insignificant compared to the Pacific, but it could aid in intensifying extra-tropical cyclones near the East Coast. Additional available energy increases the likelihood for a reversal in the predominate precipitation pattern from dry to wet across portions of the Northeastern US. The sum of methodologies has included analysis of exogenous indicators such as solar, geomagnetic trends/behavior, stratospheric winds, and internal variability of the PDO, AMO, ENSO, tropical forcing, NAO, AO, EPO, PNA (including a relationship I’ve examined which – retrospectively - correctly predicted the NAO modality in 86% of seasons since 1950); prior years have been juxtaposed with the present/recent pattern in attempt to ascertain an extrapolation of this year’s regime. The totality of indicators yields the following prognostication. There were some notable similarities to 2011-12 as well, though insufficient to utilize it as a higher echelon analog. One will note that all three of the analog years were actually moderate to strong La Nina’s, which differs from the current ENSO state. However, there were numerous other (arguably more important in my view) strongly similar variables. I anticipate a suppressed AAM state, a strengthening polar vortex, La Nina-esque walker and Hadley cell behavior, tropical forcing, which more closely reflects the –QBO/-ENSO years rather than the +QBO/-ENSO years. December should begin with a neutral to negative tropospheric and stratospheric AO due to the exceptional tropo-stratospheric perturbation. The Pacific will largely be unfavorable with a positive EPO and low geopotential heights amplifying in the Rockies/W US, indicative of a –AAM regime. The NAO could potentially trend negative for a time, combatting the poor Pacific, enabling some troughiness to develop in the C/E US. 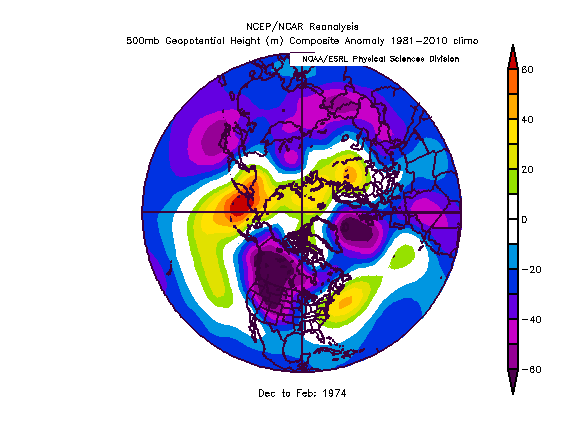 Many of the analog years featured one month of colder than normal temperatures with more conducive z500 regime. 1975-76 featured a very cold January, and 1973-74 a colder than normal February, and 1999-2000 a colder than normal January. However, there are a number of adjustments that should be performed. There is significantly greater global/hemispheric warmth compared to the 1970s analogs due to the post super Nino conditions. Secondly, the state of the stratospheric vortex is very weak right now, and projected to remain that way through November. There’s a high correlation between November and December outcomes. Thus, I think December is the month most likely to feature high latitude blocking. However, it must be sufficiently significant, especially in the NAO domain to mute +EPO induced Western troughiness. The Southeast ridge will be attempting to burgeon northward. Thus, even early winter, I am conflicted, but given signaling and analogs, December should be near normal temperature wise in the Northeast corridor, with possibly slightly above or slightly below temps. Given the precursor factors and analogs, I expect the precipitation pattern to become increasingly wet across the northern tier and Northeast. I don’t believe it will be sufficient to reverse the drought in the Northeast, but a normal or wetter than normal winter is likely with a warm W Atlantic an active Pacific stream. January will become increasingly warm with a rapidly intensifying vortex. In the Pacific, the continuance of a low-latitude Aleutian ridge with low heights across Alaska/NE Pacific and NW US should persist. However, periods of poleward Aleutian ridging are possible, occasionally suppressing the Eastern ridge and providing wintry threats. The vast majority of the time, the Atlantic should be unfavorable. Transient blocks are not out of the question. 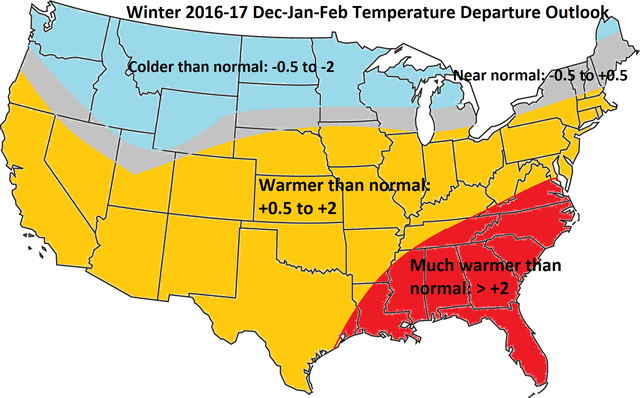 January should be warmer than normal for most of the South and East, with colder weather confined to the Rockies and northern tier. February should look like a classic Nina-esque regime at z500 and likely in the low levels. An active jet with numerous snow threats across the Mid-west and northern New England should dominate. A continued unfavorable Atlantic and increasingly unfavorable Arctic, coupled with an indeterminate NPAC state could yield occasionally mild to record warm temperatures in the Eastern US. Snowfall will be highly dependent upon transient blocks and baroclinic zone suppression via poleward NPAC ridging. Overall, the month looks warmer than January. Cold weather dominates the N Plains. In sum, this winter will be colder than last year (not surprising given the record warmth), but warmer than normal across the South and most of the East. Colder than normal departures will be found across the NW US/Rockies and into the Mid-west. The most likely period for a severely cold outbreak, including the East is between December 20th-January 15th. If a coupling can occur between high latitude blocking and poleward Pacific ridging, the wintertime source region of cold can expand southeastward. 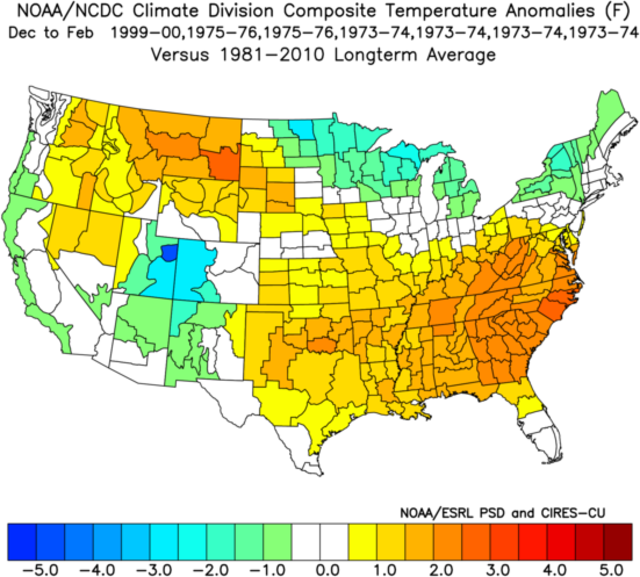 All three analogs featured a period of colder than normal weather in the East. For the most part, the East Coast will be battling milder weather. Precip should be normal to above from the Mid-Atlantic northward, and snowfall normal to below from the Mid-Atlantic southward. There should be more frequent light-mod snows across the North with fewer large events. Bigger events are possible in the Lakes/Interior Northeast with intensifying inland lows. 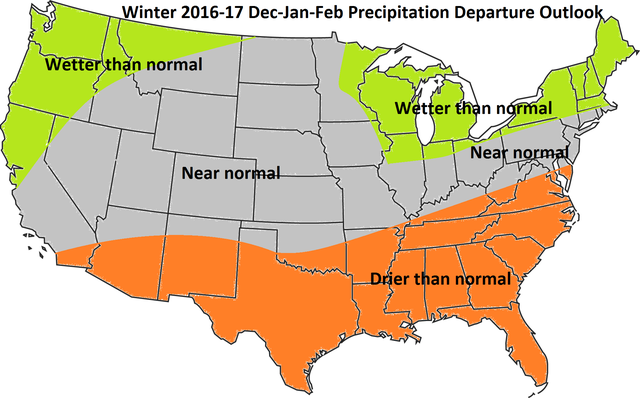 [Expected evolution is near normal December, warmer than normal January, and warmer than normal February]. Great write-up Tom. It amazes me how many variables are in play. Hopefully the severe cold outbreak you mention during the holidays will bring me snow for my birthday! Great analysis and write up Tom - need a dictionary for some of your terminology. Good luck with your forecast. The weenie in me doesn't like your forecast but I duly respect your weather intelligence. well good luck with your forecast although I hope it's wrong.lol seriously I like that you feel N to AN precip. if we can end up only +.5 to 1 Temp Dep and time systems right I can see a AN snow for nyc area. always like reading your analysis. tku for taking the time to do one. you're work is non bias and I appreciate that. thank you tom for ur post and maps you put up i really do hope we have a better winter with above normal snowfall and a white christmas . Can't wait to read this tonight. Just noticed it was posted. Thank you Tom. Will have feedback later. Nice write up. Hopefully you are wrong though. Great research and good analogs to back it up. It's confusing for many while reading the various winter outlooks when last year was an El Niño year and we were above normal temps and this year looks to be a La Niña year with above normal temps, even with a lot of snow over way up north. Very interesting outlook Tom. It looks like you feel La Nina, +EPO (strong Pac Jet) will play a significant role in the winter pattern which calls for the slightly warmer / less than normal snowfall calls for our area. This is definitely a possibility and even I made reservations in my outlook, except I went with average snowfall instead of below and favored average temps but favored slightly below if I had to lean any one direction. We're not far off. Particularly concerning is the southeast ridge. I am not confident it will be able to suppress itself throughout the entire winter, especially if the Pacific stays as ugly as it looks right now. What gives me hope, as mentioned in my outlook, is the state of the Stratosphere, SAI in Siberia, and above normal temps in the Indian Ocean. However, if these factors fail to produce we're definitely looking at a clunker this year. It does not help that the CFS has consistently shown warmth and the JMA recently flipped from cold to warm too. Thank you everyone! Frank - thanks and good luck to you as well. A lot of conflicting factors, particularly w/ the AO, which led me to the near neutral call. 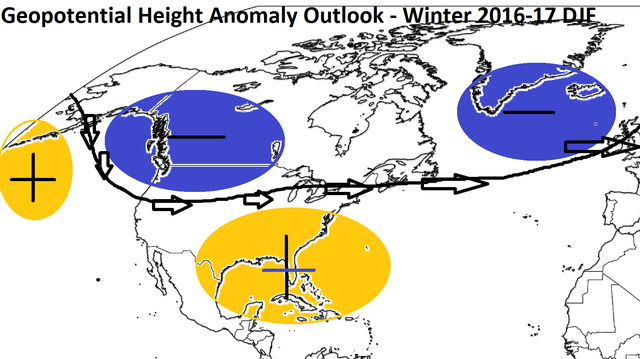 I think early winter through potentially early Jan (best case mid) could be interesting. At the very least we should have a colder holiday period this year, with hopefully some snow. Yeah I'm a bit warmer as I feel strongly about an unfavorable mean NAO and the Pacific not being all that great either. The AO may be a better friend this year, though I think more positive will win out later. Should be no +15 months to worry about though (hopefully)! Most of the tri-state area finished between +3.5 and +4.2 for temperature departures. Based upon the forecast maps from late November, the z500 pattern quite closely paralleled the outlook expectations. Troughiness preferentially favored the NW United States while concurrently, ridging predominated the Eastern US. Occasional poleward ridging near Alaska/Dateline permitted periodic cold blasts into the United States, but for the most part, the Pacific remained unfavorable. Additionally, the NAO was strongly positive as anticipated, with a largely inauspicious AO regime as well (both were positive). In terms of the sensible weather, December verified as the coldest month of the winter with slightly warmer than normal temperatures in the East as forecasted, with January and February featuring well above normal temperatures. Dryness dominated the South and East while a wetter than normal preferentially favored the West and northern tier. Snowfall was very close to reality, with below to well below normal snowfall from 40N southward, and near or above normal snowfall from NYC northward. The slight flaw here was that the above normal snowfall extended a bit further south than expected into portions of the NYC area/Long Island. Furthermore, DCA/BWI area featured even less snowfall than forecast, and Denver into portions of the Mid-west (Chicago) received very little snow relative to normal. Seattle’s totals were close to forecasted, as were totals in the Southeast US and New England. Overall, considering the lead time of the long range forecast and the nature of the record warmth in January and February, the outlook for solidly warmer than normal temperature departures across the vast majority of the United States worked very well in my opinion. Hindsight is 20/20, and certainly I would have gone even warmer, but given some conflicting signals (a few suggestive of cold) last autumn, the magnitude of the forecasted warmth was slightly tempered. Even still, the general ideas and progression verified, and this winter forecast will be considered a success. This will bring the long range success rate up to 80% since initiation of long range summer/winter outlooks in 2006. Phenomenal job. It's an A if ever there was one. Yeah Tom, I second Cp's sentiments. Your skill at seasonal forecasting is no less than incredible. I would ask you how you've become so good, and how you've learned, but a good meteorologist (usually magician) never gives up his secerets haha I've said this before, but I could only ever hope to become even a fraction as talented in these lead times as you are. I love reading your insight because the information you bring to the discussion is fascinating. Great job, and I look forward to your continued forecasting!! Wow Tom, great job! Overall, for me not a terrible winter. Hit my average snowfall, and didn't freeze my a$$ off for weeks at a time! Thank you very much for the nice compliments, Ray, Janet, frank, and CP. Much appreciated. Already looking forward to next winter's outlook season. Didn't feel like we had much of winter this year, even though I somehow have 27" in the books. I concur with what everybody body has already stated. You did a fantastic job with this winter forecast. Grade A.
Tom should work for the NWS, he nailed the long range.Great job!!! Tom I know its real early, but any thoughts on winter 2017/18? Tom - a truly fantastic and flawless job forecasting this winter. I did not read a forecast that came close to verifying until I saw yours. You have a gift, my friend. I look forward to reading next years. Thank you very much everyone! 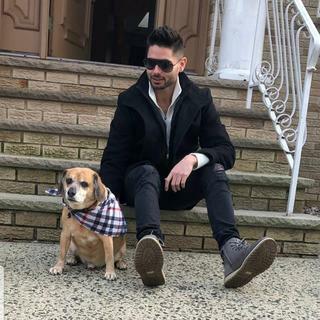 And Frank, I always look forward to reading your outlooks and LR posts as well. Your forecasting throughout this winter has been quite good. Hey Tom I have been off for a bit but I too would like to recognize your fantastic forecasting throughout the entire winter season beginning with your outlook. Honestly second to none this season so bravo my friend. I look forward to continuing to learn from you in the future. Just curious...do you dabble in tropical disturbances as well, because that too is a passion of mine as well as many on the board? Despite a dismal season temperature wise filled with sustained warmth and a lack thereof for sustained cold I ended with just over 42" total snowfall for the season; well above normal IMBY. For me this is like watching a hockey game. For the entire game the other team dominated the time of possession, out shot us 42 to 20, and dominated the physical play; however; our goalie stood on his head to keep us in the game. When we had our opportunities we were able to score enough goals to win the game...at least in my neck of the woods. Just like in any sport if you can still win the game despite not playing your best you will take the win every time; then move on to the next one. I never give a grade to winter before the end of March because we have had too many decent Marches in recent pasts to not include it when rating a winter season. In my rating system I will always weight total snowfall, number of snow events, and the quality of a snow event much higher than the temp aspect of a season. With this in mind, if I get no more snow this season I would have to rate this winter a C+ based on the volume of snow events as well as the fact that there was at least one Godzilla IMBY, as well as a few decent mod events. If we had any sort of sustained cold I would have definitely rated this winter a B. Thanks for the nice compliment Scott, appreciate it. Looking forward to many more LR discussions qith you and everyone else on here. You agreed with the late winter alterations and definitely provide great value to this site as well. And yes, I do enjoy tropical disturbances as well - hopefully this year is more interesting. I typically do a summer forecast every May, but maybe I will incorporate a tropical section too this year. Yeah, this winter snowfall wasn't bad given the hand we had dealt to us - very poor precursor indicators. I am surprised and not surprised that NYC broke 30". 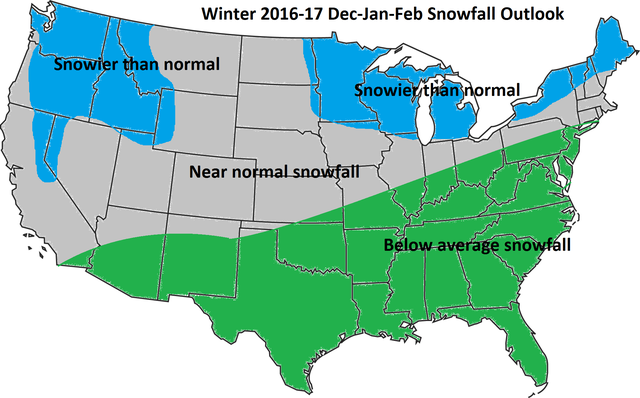 The pattern was largely unfavorable, but lately it has been more risky to bet against a near or above average snowfall winter in our area. The 1990-2020 averages will be significantly higher assuming the next few winters aren't duds. Isotherm wrote: Thanks for the nice compliment Scott, appreciate it. Looking forward to many more LR discussions qith you and everyone else on here. You agreed with the late winter alterations and definitely provide great value to this site as well. And yes, I do enjoy tropical disturbances as well - hopefully this year is more interesting. I typically do a summer forecast every May, but maybe I will incorporate a tropical section too this year. The 1980's were the worst decade for snow in these parts in recorded history so when they are taken out of the equation in 3 years the 1991-2020 average in NYC will go up from the current 1981-2010 average of 25.8. Even if it doesn't snow for the next 3 years (its never happened in a single season so God forbid, I shudder at the thought) the 30 year average for NYC for 1991-2020 would be 27.4 inches. The current average for January 2002-March 2017 is 34.6 inches. Throw away all the averages in 3 years because in our area they're all going up, despite the rise in average temperatures which has been quite pronounced. Eventually I suppose the dichotomy of increasing temperatures and increasing snowfall will reach a breaking point, unless of course this upward trend in temperatures we've experienced since the early 1980's or thereabouts begins to reverse, or at the least stops increasing. Agreed CP. 1980s actually weren't terrible in CNJ. The 90s were slightly less snowy overall. My 30 year running average is up to 31.2" here, with the 1980-2010 avg of 28.9". I will definitely be above 30" it appears for the next 1990-2020 30 year period. I have always maintained that our area (CNJ-NYC) is upper 20s or around 30 in terms of averages. We may keep increasing if the a priori effects of the protracted solar minimum impact blocking.